Dallas ISD is committed to ensuring academic success in the classroom for all students. One of the ways the district accomplishes this goal is by identifying how well schools are doing and providing appropriate support. In the same way that student report cards measure individual performance, a School Performance Framework (SPF) will provide information about how well a school supports student growth and achievement. While the Texas Education Agency recently assigned preliminary letter grades as part of a new system, Dallas ISD officials believe SPF will provide a more robust assessment of how each campus is performing. SPF will paint a broad picture of campus progress as represented by staff climate surveys, feedback from parents and guardians, and state accountability ratings, among other measures. Here is what you need to know about the SPF. Why does Dallas ISD need a School Performance Framework? State accountability ratings paint a limited picture of a school’s success that is largely based on standardized test scores. 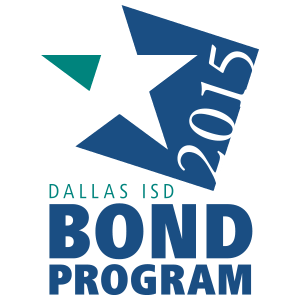 Dallas ISD’s SPF is a way to capture the many things that contribute to campus and student success. Based on the idea that growth is a key measure of school success, Dallas ISD’s SPF will provide a more comprehensive picture of school quality. SPF takes a “whole-child” approach that values a mix of academics, student growth, school culture, and climate. How will campuses be categorized under the SPF? The Systems Review assesses the strength of the campus in three areas: leadership, management and operations. The survey provides information on what teachers and staff think about their school’s priorities, culture of feedback and support, and health of the working environment. Every year schools ask parents and guardians for feedback about the school’s academic program, environment and communication with families. Research shows a strong connection between attendance and academic success. This measure reflects how well a school addresses this critical factor that can contribute to student success. What are the next steps in the rollout of SPF? Currently, the SPF is in a pilot phase. A preliminary SPF utilizing data from the 2015-2016 school year has been developed to collect feedback from principals and district level leadership. Input will be used to improve the performance framework. The first official SPF will be published in October 2017. How will the SPF improve schools? The SPF will ultimately help communicate how well our schools are doing and identify campuses that need additional support from district level leadership. The SPF will significantly improve how the district identifies and provides the needed resources to improve a school’s performance.